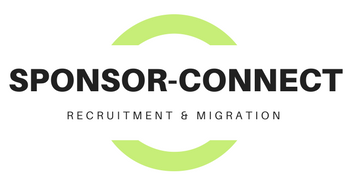 All three visa applications – ENS and RSMS (permanent residence visas) and TSS (temporary work visa) have mandatory requirement for a genuine position statement. Our comprehensive Genuine Position Writing Service – ENS RSMS TSS – is a detailed, report-style submission addressing all statutory requirements of the genuine position statement. Who writes the genuine position statement? The genuine position statement is written in report format. It is drafted, reviewed and composed in final draft by Australian registered migration agents or lawyers. 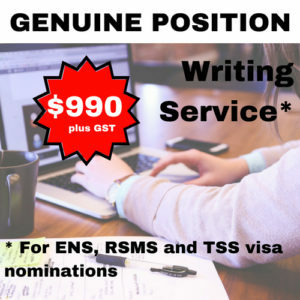 The genuine position writing service provides each finished product with name and MARA number (official registration number by the Australian government) of the writer. The benefit of your genuine position statement being drafted and composed by a registered migration professional is the relevance against migration law. Nomination refusals occur most due to failure of applications to satisfy the genuine position test. The genuine position test is defined by s number of assessment criteria. Registered migration professionals deal with Australian immigration law on a daily basis. As a result, they become intimately aware of the assessment criteria and the way in which policy guides decision makers reviewing applications. This knowledge and expertise is applied to each genuine position statement produced by our registered professionals. How fast can you provide the genuine position statement? We require at least one week to complete the genuine position statement submission. As it is a detailed report format, we are also required to do additional background research. For an additional fee, and by case by case agreement, we can provide fast turnaround of between 1 to 3 days, depending on availability of writers and depth of work required. If you have any queries in relation to time frame for service delivery, contact us immediately.